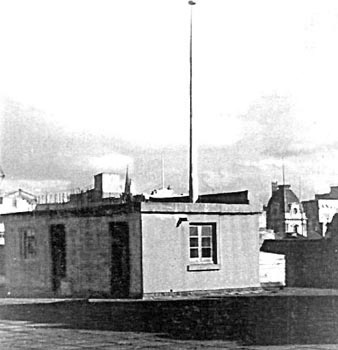 On 24 October, radiotelegraph station Auckland Radio NZK began operation from a small hut on the roof of the new, and not yet opened, Chief Post Office. The station used a Telefunken Type D spark-gap transmitter of 2.5kW and the first manager was LW (Pat) Bourke (pictured). 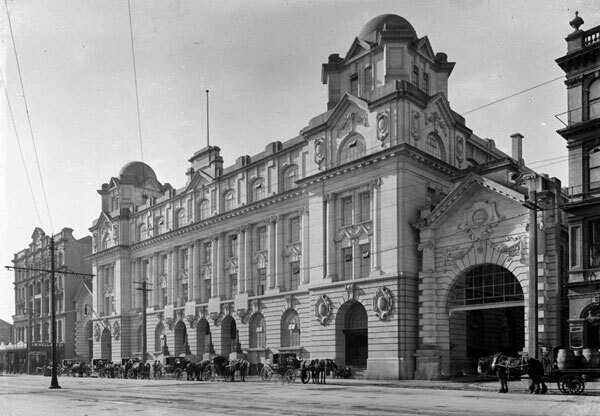 The station was open “during certain hours daily” and “excellent results” were obtained, although the range was “somewhat less than that of Radio-Wellington,” according to the Post & Telegraph Department’s annual report of 1913. John L Davies replaced Pat Bourke as manager. While the station’s spark-gap transmitter performed well, the effectiveness of the station was handicapped by poor receiving conditions. Ralph S Wheeler replaced John L Davies as manager. 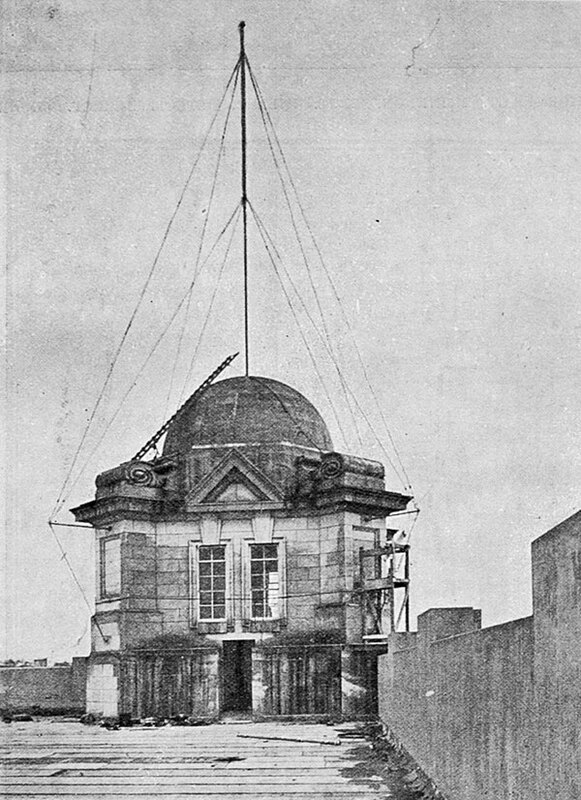 The radio-station at Auckland is now used only for daylight work. On 8 May the Auckland station was closed – but not dismantled – as the high power station at Awanaui, near Kaitaia, was providing superior performance. Sending Morse Code from Auckland Radio VLD on the roof of the Chief Post Office building. This photo is dated c1910, but it is believed that Auckland Radio began operation in 1912. Les H Steel became manager. 1. Wilson, A.C. (1994). Wire and wireless: A history of telecommunications in New Zealand 1890-1987, (p 96), Palmerston North, New Zealand: Dunmore Press. 2. Wilson, A.C. (1994). Wire and wireless: A history of telecommunications in New Zealand 1890-1987, (p 104), Palmerston North, New Zealand: Dunmore Press.